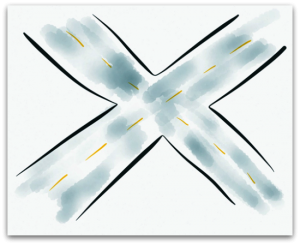 “X” is the spot only your brand occupies: it stands alone in terms of what you provide and to whom. Before you start a new business or or decide your current business needs a makeover and re-branding, it’s imperative to define your brand. Clearly being able to describe your brand, in words in visuals, so that others easily understand (and can tell others!) what your business does. Here is a simple branding strategy that will help you brand or re-brand your business. Keep in mind that re-branding shouldn’t just be about a new logo; it’s really about a new way of doing business. Before you brand your business, you should first determine why your business exists (its purpose on the planet) and how it can stand apart from other businesses in your same space…a.k.a. the competition. If you don’t stand apart, you are a commodity and your only differentiator is price. How are you going to approach branding? Who’s in charge of the branding initiative? Will you hire a consultant, graphic designer, copywriter, brand strategist? A Mission Statement: in 100 words or less, says Who you are, What you do, Whom you do it for, Why you do it, Where you do it and most of all: What’s your BIG IDEA? What do you do that no one else does? Why should they buy from you instead of someone else? This is also known as the differentiator. Your Mission Statement will be the “touchstone” for your business – use it as a guide to decide what work to pursue; what projects to take (and what projects not to take); all to keep the strength of your brand. A Vision Statement – the sky’s the limit: an in-house document that describes where you’ll be in 1, 3, 5 or 10 years. How you’ll get there. How big is your staff? Where are you located? Do you want to sell your business? This document can evolve but it is Your Destination Roadmap. A Value Statement – “the Guiding Principles” or “core beliefs” of your business (many companies want to buy from those with shared values). Words like sustainability, diversity, creativity, excellence, community, innovation, etc. are found in value statements. Positioning works hand-in-hand with branding. Who Your Ideal Client is (client profile) – Know your audience before you ever begin to market! Brand positioning is crucial: clearly describe your product or service, define your ideal client and their needs and wants and finally, highlight the benefits of working with your company. Where those four factors intersect is at what’s called your “brand essence.” Once you’ve determined your brand essence or “truth,” you can incorporate visuals, written content, testimonials, case studies and FAQ pages to convey the personality of your business, your industry knowledge and expertise and showcase your product or service solutions. Spending the time on developing and executing branding strategy pays off in greater brand recognition, memorability and effectiveness. Definitely time well spent. This article originally appeared on MarthaSpelman.com. 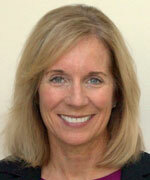 Martha Spelman is a Los Angeles-based branding and marketing expert. She is the author of The Cure for Blogophobia: How to Easily Create, Publish & Promote Your Business Blog.